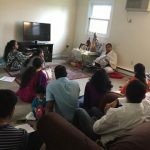 Sri Ramanujamji’s satsang programs in Minneapolis were off to a great start with an Ice Breaker session – ‘Evening of Introspection’ in Minnetonka, MN on Wednesday, October 22nd 2014 at Sri Venkateswara (Balaji) temple. 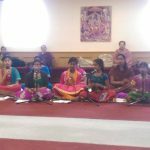 The session commenced with an invocation recital by Smt.Deepika Vijay. 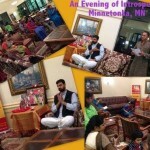 Sri.VishNathan from Minneapolis GOD satsang gave an introduction about G.O.D and Sri Ramanujamji. 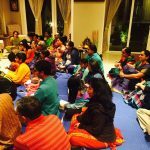 It was an interactive evening of introspection with Minneapolis GOD Satsang members and guests who attended the session. 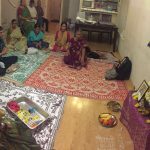 About 20 people attended the session.